View photos from the work parties summer 2015 on this building. Directions will be provided upon rsvp. The first layer of Lime Plaster has been patiently curing over the winter and this little building is ready to be finished! 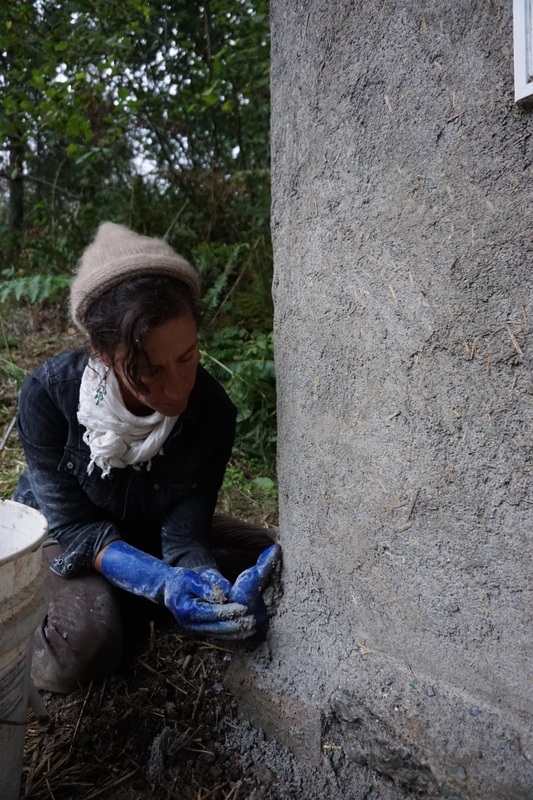 Come smear the last layer of mud on the wall and learn about this ancient technique of using natural materials (lime, sand, and straw!) to protect the exterior of a building. Natural builder Hannah Poirier will be offering demonstration and guidance for key points in the building process, materials use, and site considerations. This is primarily hands-on, working with the materials as a way of learning, with education-focused breaks to answer questions and talk about key points in the building process, materials use, and site considerations. It's satisfying to see the work we can accomplish when we work together using minimal tools and simple technologies. Work hard, and play hard too!!!! We like to sing while we work, and chocolate tends to also be involved. 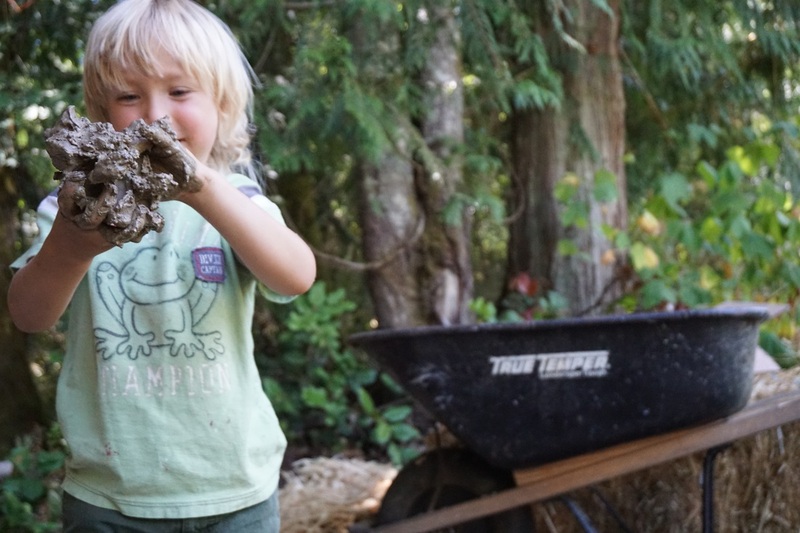 Nala will masterfully design a nutrient-dense local food lunch to be provided for all participating Muddy Buddies.